Massbleed is a SSL vulnerability scanner. Its mainly check vulnerability in ssl of the target sites. Massbleed is an open source project and can be modified according to requirement. It does not contain any license. Massbleed scans the website/ip address and try to find the SSL vulnerability. 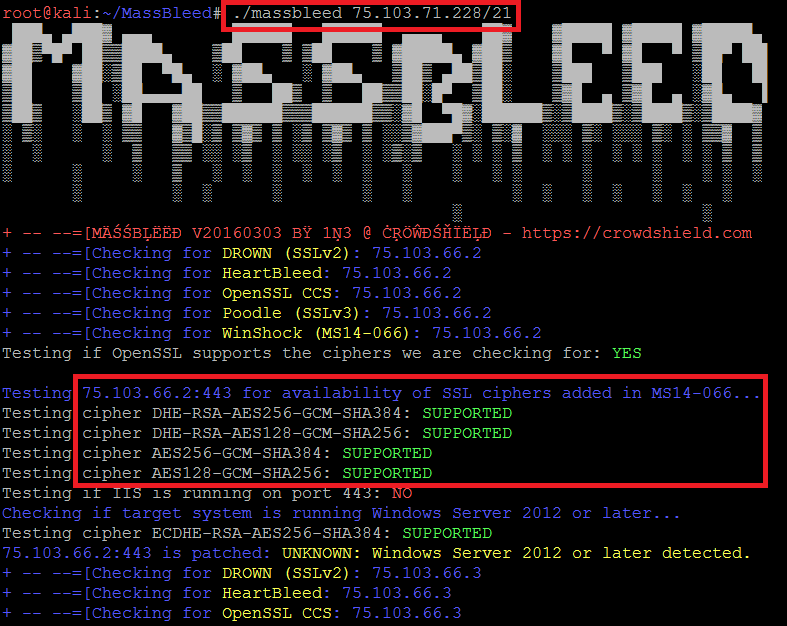 Massbleed is created by 1N3@CrowdShield. Ethical hacking researcher of iicybersecurity (International Institute of Cyber Security) said massbleed comes handy in initial phase of pentesting. Then go to location where you have cloned massbleed. In the above screen shot after executing command on port 21. As you can check all vulnerabilities related to SSL and ciphers used ex – cipher DHE-RSA-AES256-GCM-SHA384. 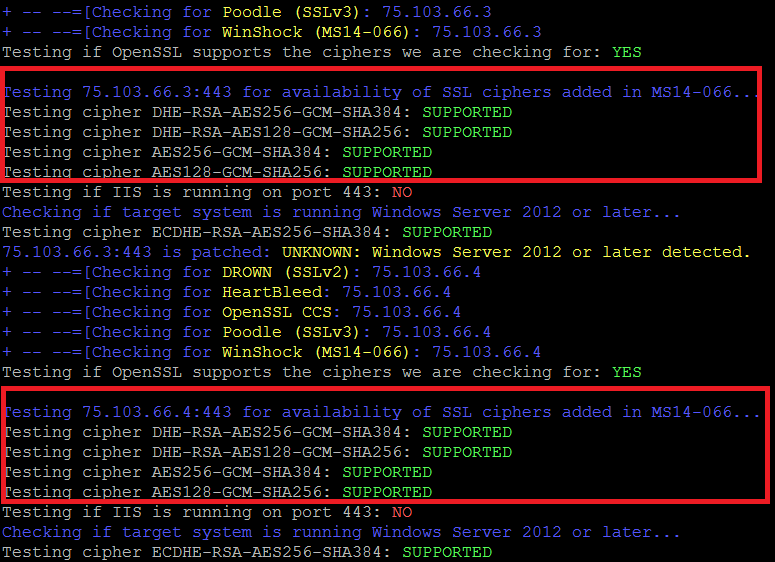 The red marked ciphers are configured ciphers in ssl.